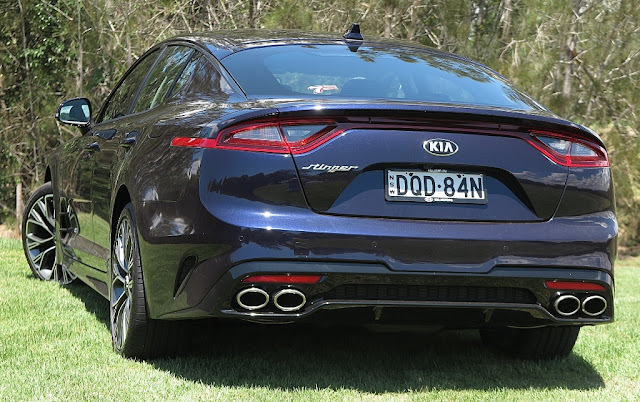 Thanks to impeccable timing, Kia Australia slots its rear-wheel-drive high performance sedan into the Aussie marketplace, just as the previous star of the segment, the Holden Commodore SS-V Redline departs – thanks to GM’s withdrawal from local manufacturing. So Kia is off in pursuit of buyers pining for Holden’s Big Gun as it disappears into oblivion. Most of my contemporaries who write about cars for a living are obviously comparing the performance of the two sedans, most of them concluding that Kia’s Stinger is every bit a match for GM’s Commodore. Up front the Stinger has a twin-turbo 3.0L V6, mated to a slick 7-speed (torque convertor) auto and outputs 272kW; plus an amazing 510Nm of torque available from 1300rpm! Acceleration delivers a 0-100km/h time of 5.0 seconds according to WHEELS magazine. But my couple of hundred kilometres behind the wheel was all the convincing I needed to rank this Korean car alongside the Commodore as a perfect match. As most writers have pointed out, the Stinger is a surprising addition to the Kia range. In fact, without being at all derogatory, it could be considered a modern day dinosaur – with the personal car paradigm shifting to green credentials, alternative powertrains, autonomous driving, and shared ownership – it sort of leaves the Stinger out on a limb. But it's as modern as tomorrow. 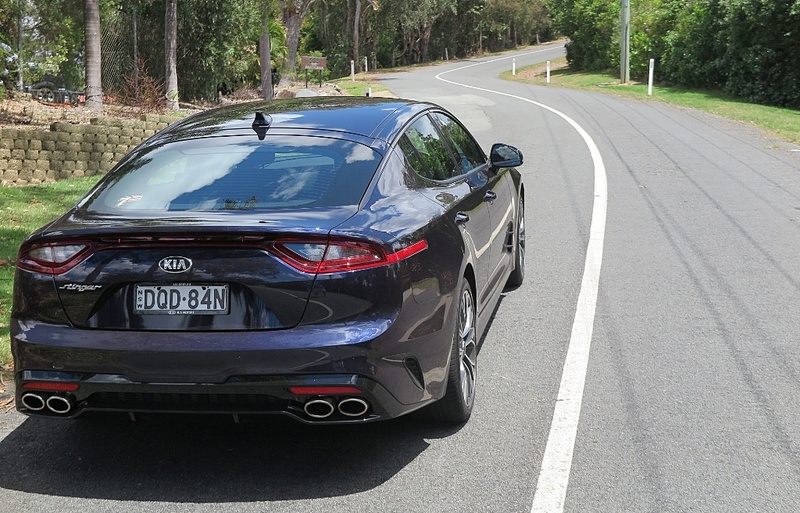 However, the people who may have lined up for a Commodore or Falcon V8 performance sedan, will love this car. It’s performance credentials are top notch; handling is super stable; it turns in like a racer and the finish is exemplary. This is a car at the top of the curve – well designed, well specified and well built, and it deserves to succeed. Apart from a lumpy ride, even on the comfort setting, I can’t fault the Stinger. If this is what turns you on, you won’t be left wanting. The Stinger stimulates and satisfies in equal measure. However, in my opinion there is a sting in this tale. I think this could be the best package to come out of Korea, it is a world-class benchmark car. So much so that my own comparison scenario is not against GM’s Commodore, but a more surprising competitor. 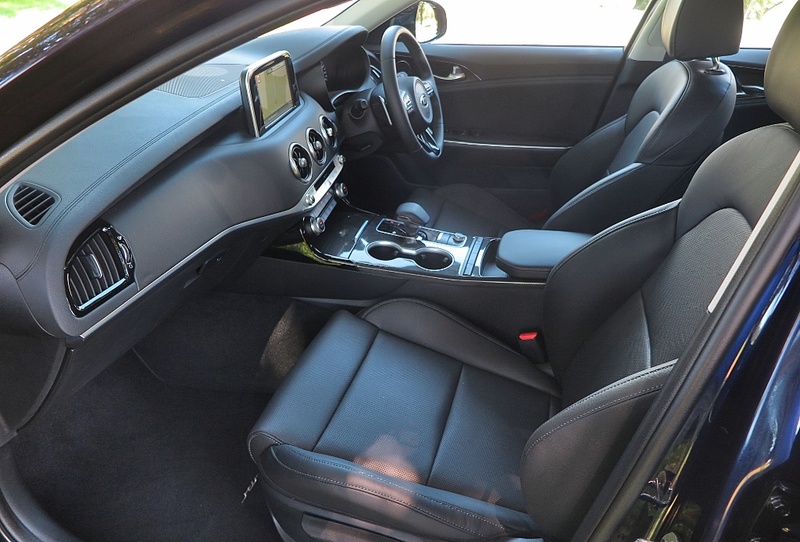 I rank this car alongside the hugely successful Mercedes-Benz C200 sedan – it’s that good! 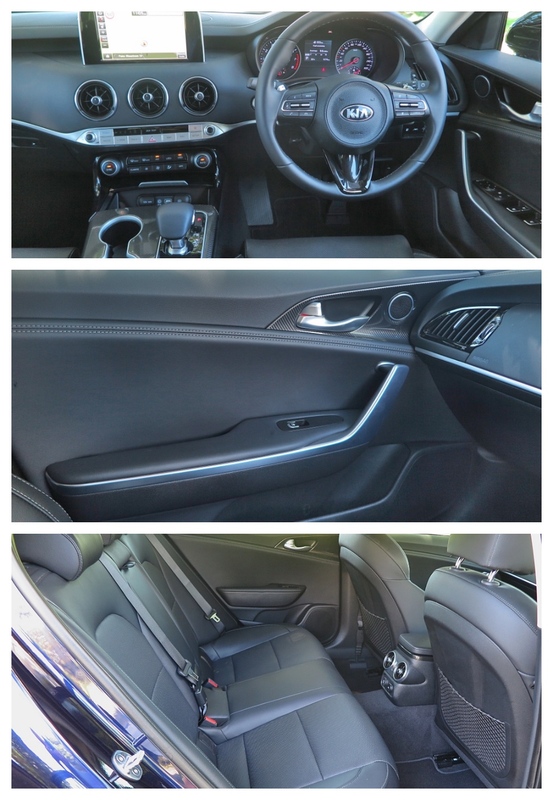 Inside, the materials finish, the trim fit, the quality of equipment and the interior layout is truly world-class. And why not? The influence of Peter Schreyer, the ex-Audi designer who is now joint head of Kia and Hyundai design should not be underestimated. His touch is everywhere – in the choice of materials, the scope of the interior design approach and the quality of the overall vision of how things should look, and just as important, feel. 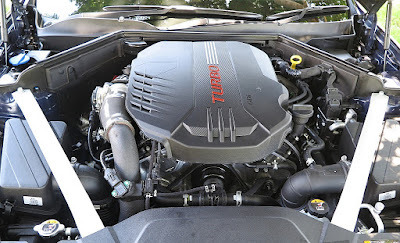 Also, why shouldn’t Kia (and Hyundai) challenge the automotive world, to produce high quality finishes, as well as competitive powertrains and performance statistics? 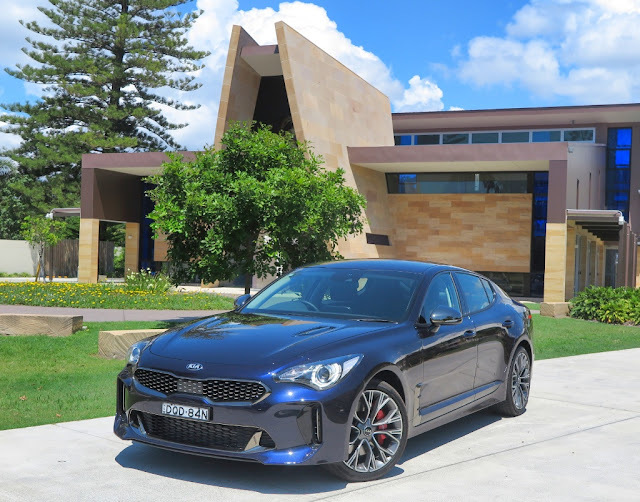 With the Stinger, Kia is demonstrating the depth of its vision in matching appearance, design, trim quality, performance and equipment, with world’s best benchmark cars, at very competitive prices. Since I spent just over three years working with Korean company Daewoo, I have always felt Korean engineers were more than capable of meeting their competition on the big playing field; they just needed a guiding light possessing a mature industry background. In Daewoo’s case it was Ing. Dr. Ulrich Bez; and in the case of Hyundai-Kia, it is Peter Schreyer. It’s not too late to say, watch these companies – they’re headed for the top of the hill – with affordable quality cars you’ll be proud to own. That is, unless you have a badge bias. This KIA car looks so beautiful.It has all those thing which I will consider before buying the car.Its my next purchase car for sure.